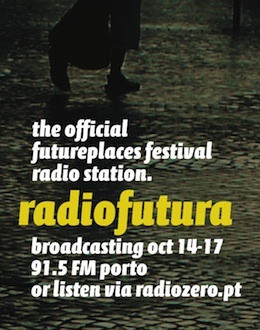 The first Crónica broadcast at Rádio Futura, “Futurónica 01 — Heard and overheard” by Cruz, will air from 2PM (GMT) today at 91.5FM in Porto or via stream. This entry was posted in Live, News and tagged Cruz. Bookmark the permalink. Post a comment or leave a trackback: Trackback URL.